Palazzo Morelli in Cosenza, is a building that was renovated with public money in order to create a place for social housing. Actually, the state then transferred the management plan to the Bank BNP Paribas from 2005 until 2017, using the space as an investment fund selling virtual sales through listing on the stock exchange. 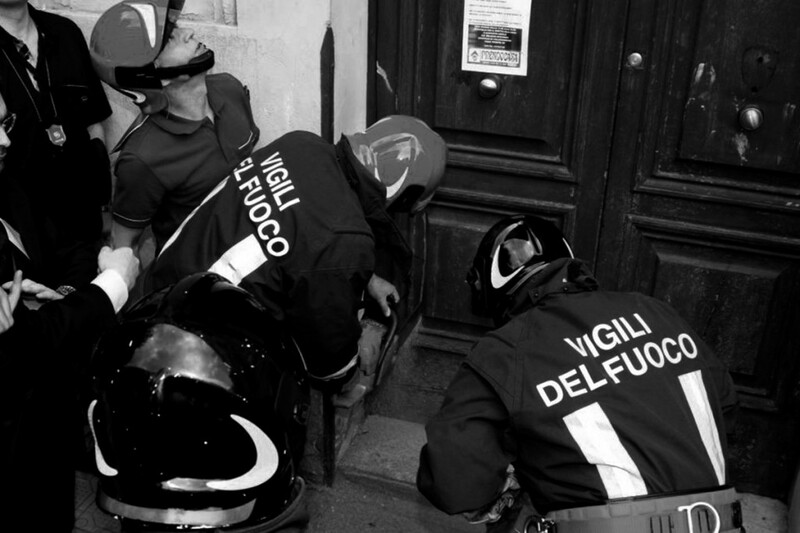 Many of the families that inhabited the Palazzo were thus left homeless – evicted by the police. Afterwards, the main entrance of the building was walled-up to avoid future occupations inside the building. 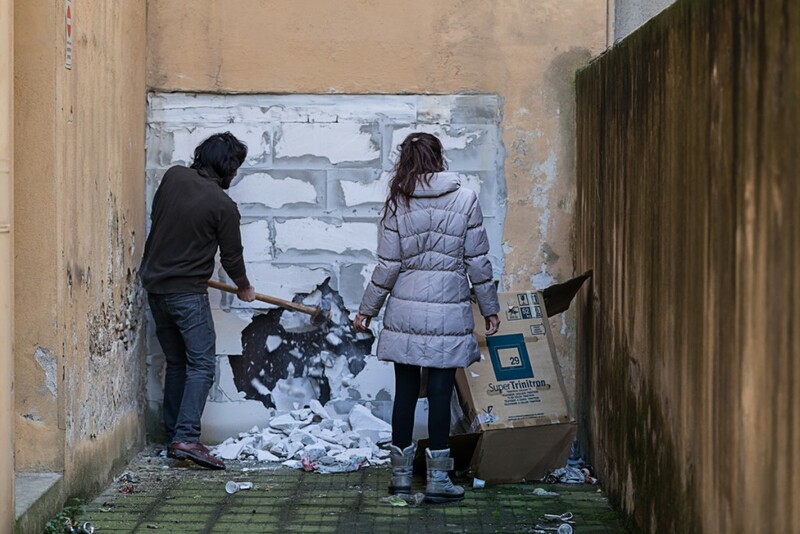 On Sunday, December 8, 2012, during a demonstration, the artist, together with the collaboration of Collettivo Prendocasa, began to demolish the wall in order to open a new entrance to the building.